Koehler Bros. is the only body shop in the area that offers business hours to meet your busy schedule, if you can’t make it during normal hours simply ask and we can schedule an appointment that meets your needs. If your schedule does not permit you to visit Koehler Bros. during our regular hours, we’ll bring the shop to you. Simply call and we will arrange to have one of our trained professionals schedule an on-site estimate at your convenience. 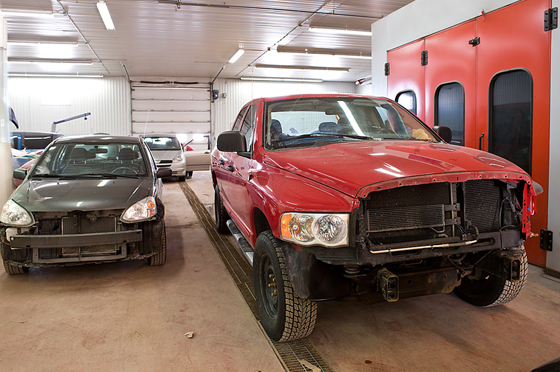 If you prefer, Koehler Bros. will arrange to pick up your vehicle for repair. We will also deliver the vehicle to you when our craftsmen have completed your repair. If you need a rental car, Koehler Bros. will arrange to have one delivered to your home or office while your car is being repaired. Koehler Bros. provides 24-hour towing. If you are involved in an accident, simply call us and we will promptly have a towing vehicle dispatched to your location. If a tow vehicle is already there, insist that your car be towed to Koehler Bros. Remember , you have the right to choose where your vehicle is towed. Koehler Bros. has been part of the Lehigh Valley business community for over 49 years. Our reputation for quality has made us a leader in the industry. All of our craftsmen are long-term employees who understand our commitment to excellence established by the Koehler Bros. over 49 years ago. Our office personnel are there for you, all working in your best interest during the entire repair process. By utilizing the latest technology we can ensure paint matches and restore your vehicle to its pre-accident condition. We back every repair we do with a written lifetime Guarantee. If there is ever a problem, Koehler Bros. will always stand behind its guarantee. Established in 1969 by the original “Koehler Bros” Paul H. & Charles R. Koehler and currently owned by Paul Jr. You may have had an accident but its no “accident” we have been here over 49 years, from our dedicated and loyal employees and staff we consistently deliver a product that exceeds industry standards.